An Early Elmwood Blanket Chest, The Rectangular Top Having A Molded Edge, Opening To A Storage Area, Fitted With A Till. Probably Welsh, Late 18th Century. Welsh Cupboard/SOLD , BUT ALWAYS HAVE OTHERS! 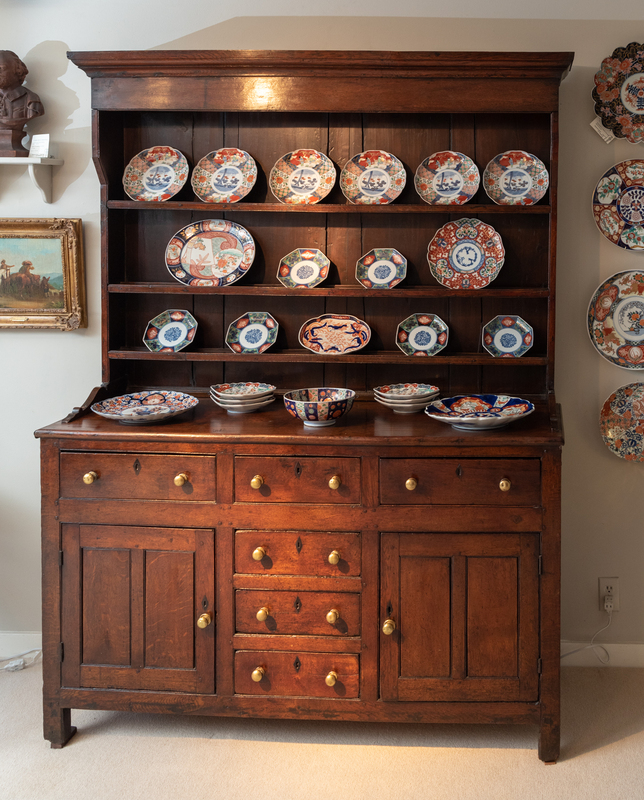 An Impressive Oak & Elmwood Welsh Cupboard. In Two Parts; The Upper With Stepped Cornice Above A Scalloped Frieze Above Three Shelves. Wonderful Proportions! Welsh Circa 1780. Table Top Cabinet With Drawers. The Cabinet Has Six Valanced Drawers. 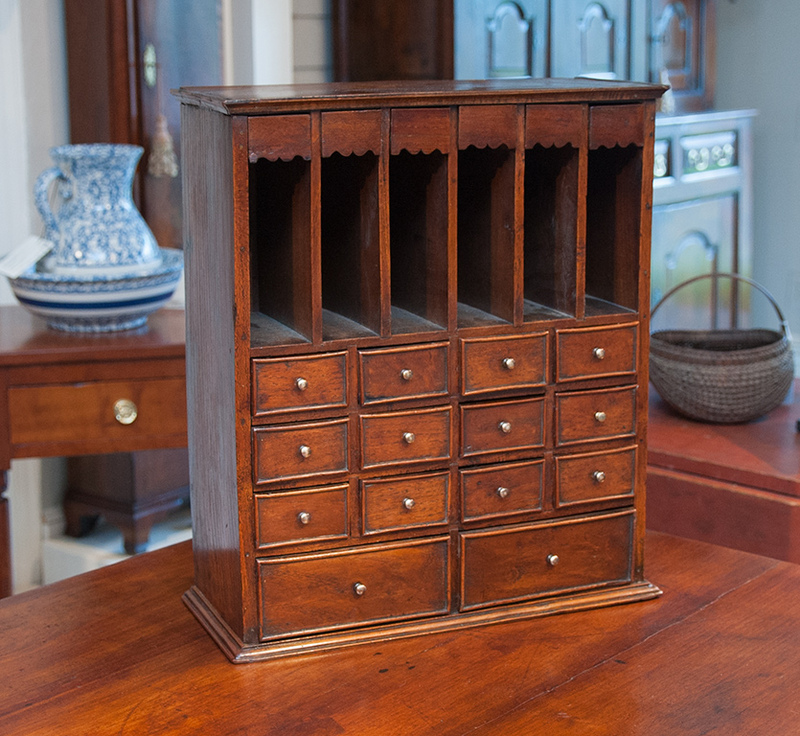 Below Are 6 Slotted Openings With 12 Drawers Above 2 Drawers. Beautifully Constructed And Is A True Find! 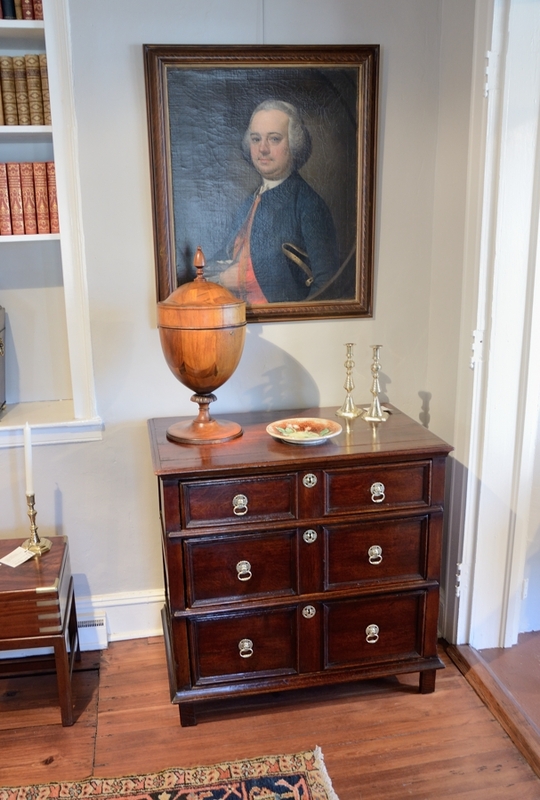 Straight Lines & Rigid Design Characterize This sturdy Jacobean Style, Oak And Elmwood Chest Of Drawers. 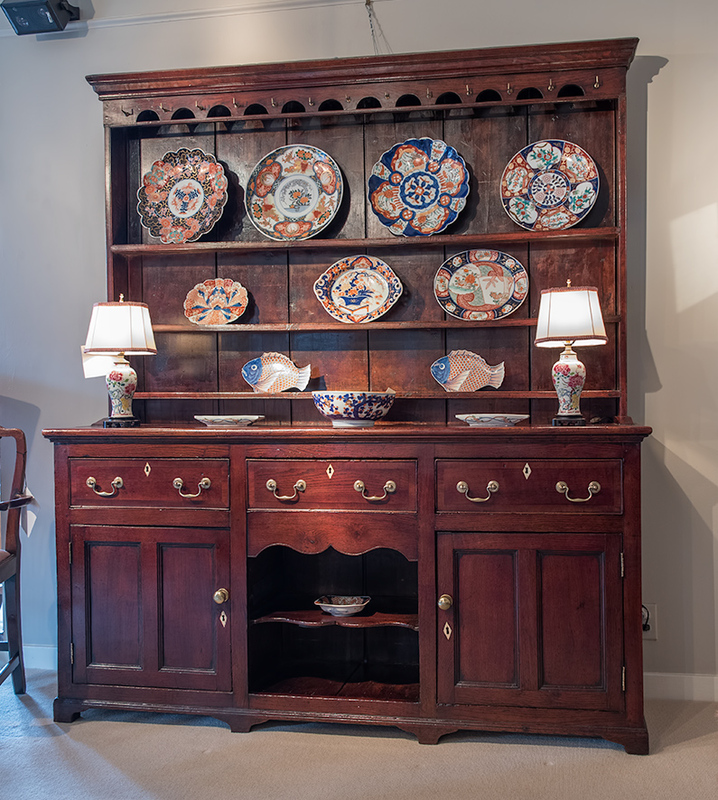 This Chest Makes A Beautiful Accent Piece To Any Room Design. Welsh Oak Elmwood Linen Press In Three Parts;The Removable Over-Handing Stepped Molded And Dental Carved Cornice Above a Carved Fretwork Frieze.